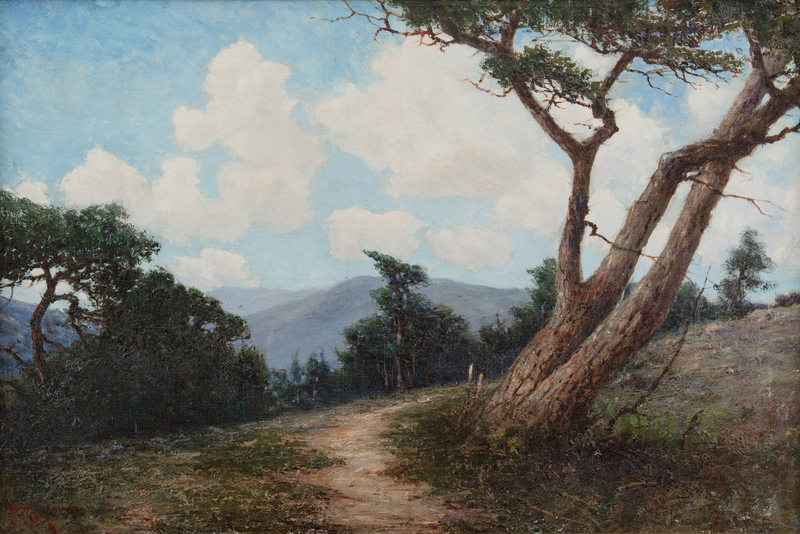 Harry Davis Fluhart Williams (Indiana/Illinois/Florida, 1861-1938) oil on canvas landscape depicting a tree beside a country road in the foreground with trees, mountains, and blue sky in the background. Signed "Fluhart" lower left. Housed in a contemporary wooden frame. 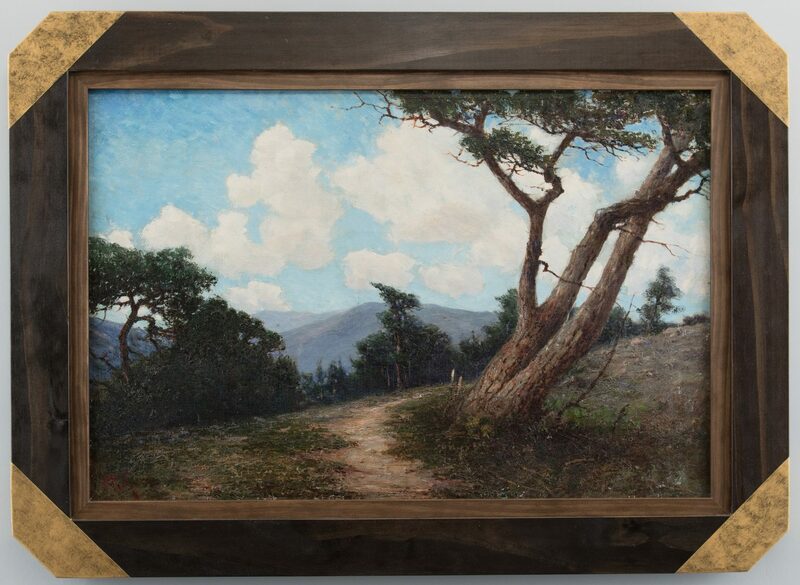 Sight – 17 1/2" H x 26 3/8" W. Framed – 23 7/8" H x 32 7/8" W. Late 19th/early 20th century. 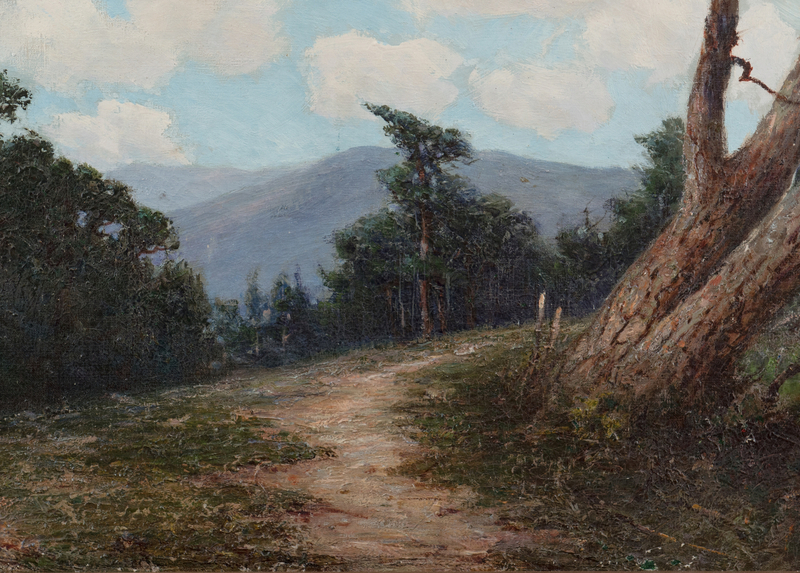 Biography (courtesy Askart: The Artists' Bluebook): Harry Fluhart was a professional artist and educator for most of his adult life. Fluhart's resume noted that he was a Professor of Fine Arts, Earlham College, 1881-1883 (Richmond, Indiana); Professor of Fine Arts, Knox College, 1885-1887 (Galesburg, Illinois); Studied four years in Munich under Richard Ritter von Poschinger; Studied two years at Delecluse School (Academie Delecluse), Paris; Member, two years, of the artists' colony in the forest of Fontainebleau, France; Member of Society of American Artists of Paris. Source: The Bulletin of John B. Stetson University (1931-1932). 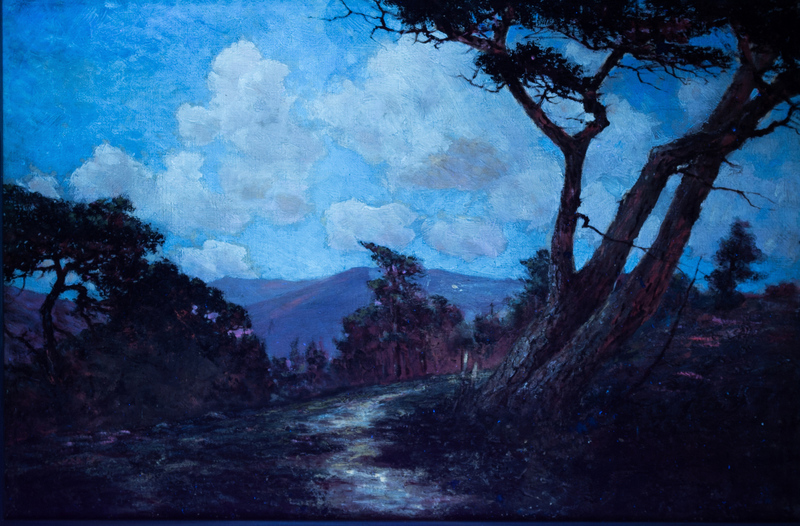 Fluhart taught art at John B. Stetson University in DeLand, Florida from 1914 to 1935. 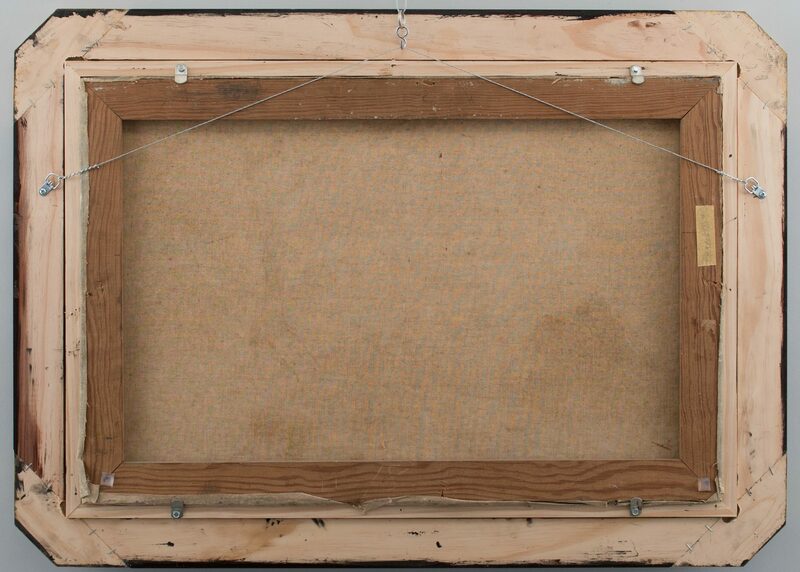 CONDITION: Craquelure, surface of canvas. Light brown stains, largest 1/2", scattered on surface of canvas. 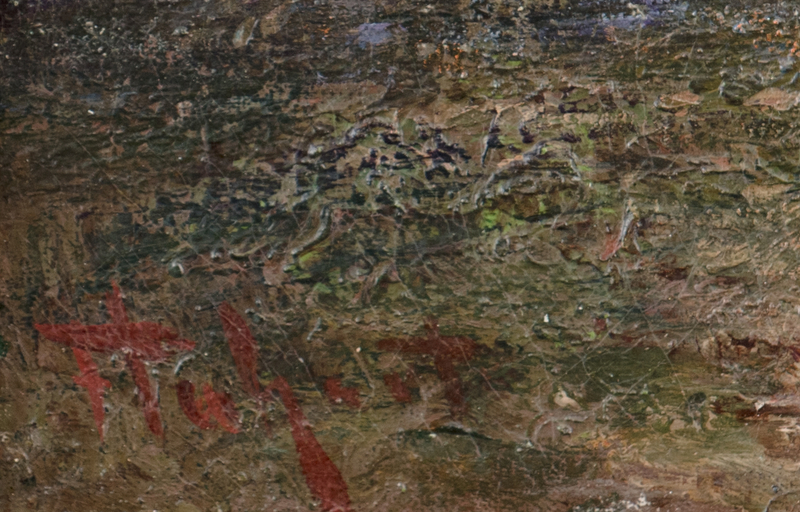 Minute paint flakes, lower left to center edge of canvas. Not examined outside of frame.